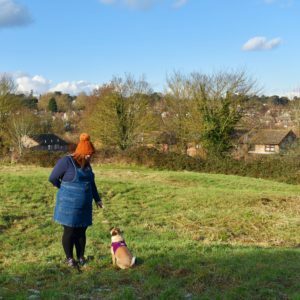 I wrote a little bit about how I’ve changed job recently; going from working in a dental surgery to now working in a hotel – a huge change and a steep learning curve! My new job is in my home town, the place I’ve lived and worked for all my 33 years on this planet and I was a little smug going into it thinking it would be a walk in the park. I envisaged people asking me questions about the local area and me being able to answer everything. Turns out I’m actually pretty clueless about the town in which I live. For a start I’m clueless on car parking as I never park my car in town. I had no idea where the tourist information centre was, no idea where museums and attractions were, and no idea on what may appeal to tourists visiting our area. Of course it’s always helpful to be able to reel off such information but what really helps are displays – such as notice boards and leaflets, posters and information in the reception area for guests to browse and use. It occured to me that the first thing I do when visiting a new place is grab a load of leaflets and have a look at local days out and attractions. So how is best to make it fun, attractive and informative? Of course the first thing to buy is a noticeboard or two like the one below from Teacher Boards – and the brighter the better, such as these bright boards from teacherboards.co.uk. It really helps the display to pop and catch the eye. It’s best to take four or five attractions or sites of interest per display board; choose a high-resolution image and a paragraph or two with important information. The name, a little about the attraction and the website should be enough – most local attractions will supply leaflets and posters for you – after all, they want to attract as many visitors as possible. If you live locally then visit some of the local attractions, and look at the details such as directions, car parking, transport links and who it may appeal to – many guests often go on recommendation, so it’s always good to have visited places yourself.